Indian Coast Guard Ship Vijit, is on a visit to Sabang, Indonesia, from 17-20 March 2019. 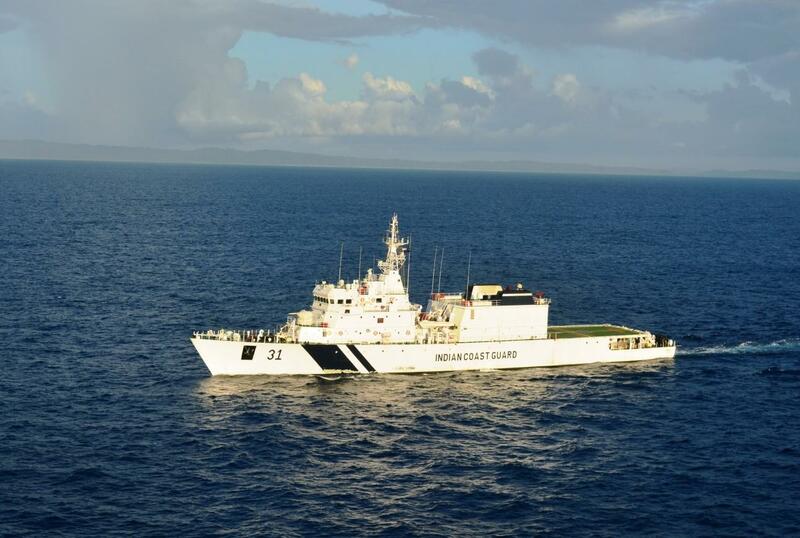 This is the first visit of an Indian Coast Guard ship to Sabang. During the visit, the ship’s officers and crew with interaction with officials of Bakamla (Indonesian Coast Guard), Indonesian Armed Forces and the civil administration at Sabang. 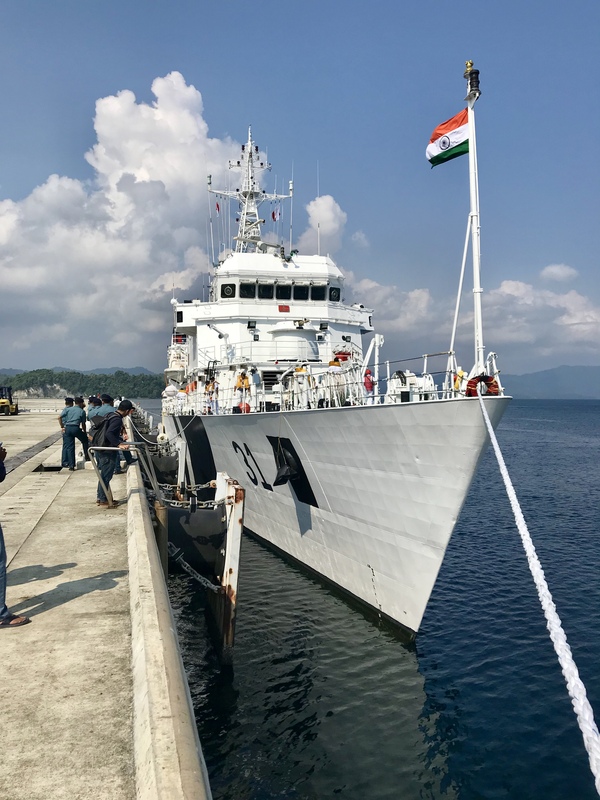 This visit of “VIJIT” follows from the first ever visit of Naval ship - INS Sumitra to Sabang in July 2018. 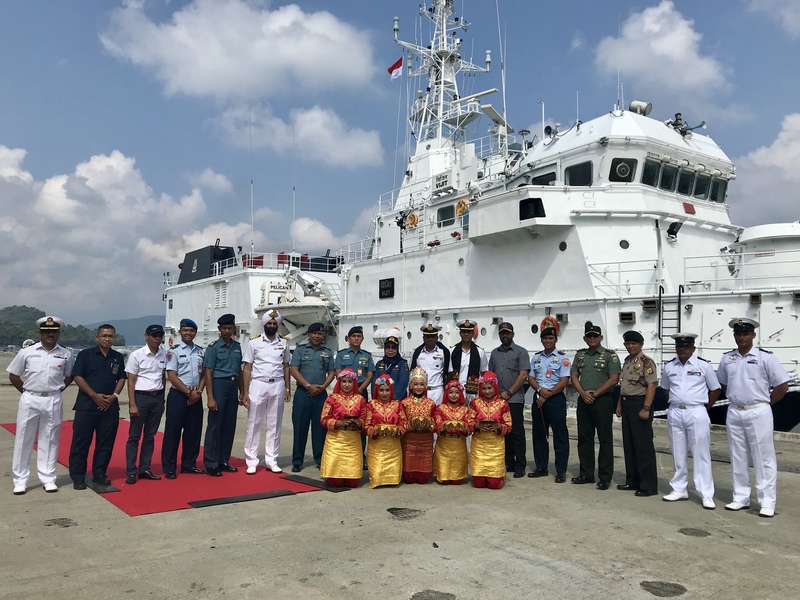 The visit of the ship to Sabang highlights the close maritime proximity between India and Indonesia and the strengthening cooperation in the area of maritime security and safety. The ship is commanded by Comdt T Ashish (0532-J), who is a long Navigation Direction officer. ICGS Vijit is the 2nd in the series of 90 meter Offshore Patrol Vessels, and was commissioned at Goa on 11 Dec 2010. 'Vijit' meaning "Winner or Victorious" is the testimony of India’s ship building capabilities and the resolve of Govt of India to safeguard country’s maritime interests. The ship’s complement includes a team of 15 Officers and 90 men who are highly motivated and fully trained to excel at all tasks with alacrity and élan in keeping with Coast Guard’s motto “Vayam Rakshamah”. It may be noted that during the visit of Prime Minister of India to Indonesia in May 2018, both sides had arrived at a “Shared Vision of Maritime Cooperation in the Indo Pacific” under which deepening economic and people to people exchanges, including connectivity with port of Sabang was identified as a key priority area. A series of steps have since been undertaken by both sides to improve the same.